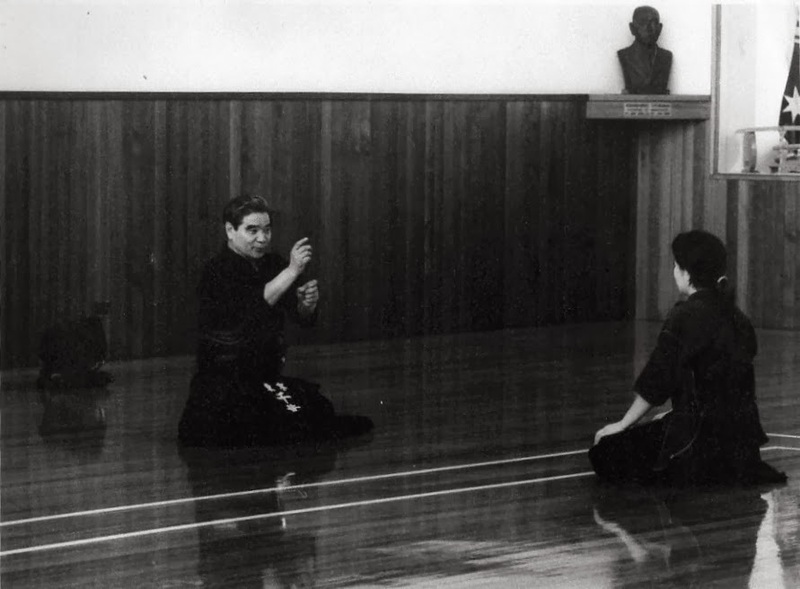 Chiba sensei at the Kenshikan, giving some advice to a student after keiko. You can see he is most likely explaining something to do with tenouchi. Click on the picture for a larger size image.